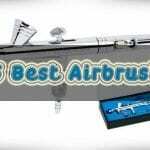 Most of us find it very difficult how to dilute foundation for airbrush. Some of them get blobbed as they are mixed with the thinner, Some of them becomes thicker. There are tonnes of articles available on this, but none tells you the actual method of smoothly diluting the foundation of your airbrush makeup. I will show you some common problems that we face on a daily basis, an effective method and some good thinners that you can rely on. But you must know how to thin out foundation for airbrush makeup. Most of us ,at first, try with Covergirl Queen Oil Free. It is silicone based material and it clumps horribly. Veg Glycerin with Neutrogena liquid solution have low fastness property and often get dispersed with uncomfortable staining marks. Setting sprays are runny and creates unwanted spots on your face. At first, Take a plastic bottle and mildly wash it using alcohol. Then take one third of the bottle full of foundation solution into it. After that, Put some one third of foundation ratio of thinning agent into the bottle and clean the glass beads / metal beads with alcohol. Then put these three in a separate cleaned plastic bottle and shake nicely till they get mixed up. Make sure that there is no blob inside the solution. Use common sense to initiate proper diluting. If you think the solution needs to be thinner, then add some more thinning agent. If you think, It needs some more thickening, then add some foundation. It is very hard to make it accurate at one go. REEL Creations – Blue Aqua Sealer: Frequently ised by pro artists in the fashion and film industry. It is termed as the “Best sealer of All”. Mehron Mixing Liquid: It can turn any solid pigment or dye completely. It gives good solubilizing property. Lasts longer with less wear and good fastness property. It is priced only $6.99. RCMA Foundation Thinner: Colorless thinning material that can be used to thin or sheer out any material that has solid organic or inorganic pigments. Cinema Secrets Moisture Spray: It delivers hydrating and revitalizing skin pores and very neat and healthy to use, which is important for people that like to care all the parts of their health.